The best thing to get there attention because it is so bad is boycott the game because they ruined it. I'm almost to the point of stopping myself because they ruined my way of getting four stat bots. Hey there Shockwaves_jdjcjdjx! 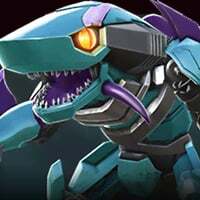 We currently have a thread up for the discussion of the October Update here. Since we already have a thread open on this topic, I'll close this one down. If you have additional questions, you're welcome to ask over on the thread linked above! Thanks!